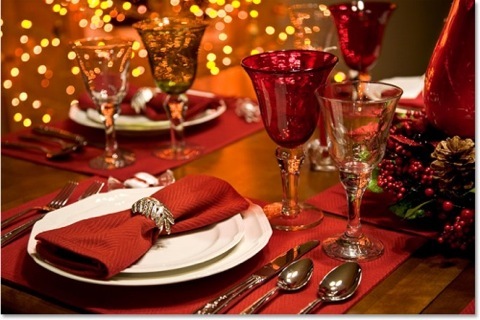 Beginning at Thanksgiving, most of us spend the next six weeks in a continuous round of shopping, decorating and eating. No other season rivals this one for entertaining. And for many people, the festivities continue past New Year's Day, especially if family or friends celebrate Russian Christmas or Chinese New Year. At some point all of us will host at least one dinner, but there's no need to serve up the usual roast turkey or baked ham. Opt instead for a menu of baked salmon, wild mushroom toast, and an elegant winter salad. 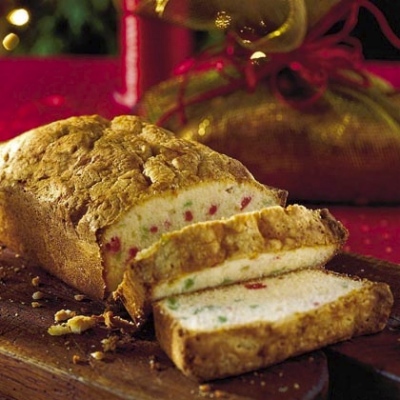 By the time your guests get to the homemade biscuits and rosemary potatoes, you'll have to warn them to save room for a classic but simple holiday pound cake. You'll discover that this is a feast that should be eaten year round. When planning a holiday feast, look on appetizers as the evening's opening act so choose recipes that are filling enough to keep your guests happy while the rest of the meal is being prepared for the table. And since the weather will invariably be chilly, hot appetizers will be far more welcome than yet another cold vegetable or cheese dip. Slice fresh mushrooms 1/4 inch thick. Soak dried mushrooms in a bowl of hot water until tender - approx. 10 minutes. Rinse and squeeze to dry. Heat a 12-inch ovenproof skillet until very hot. 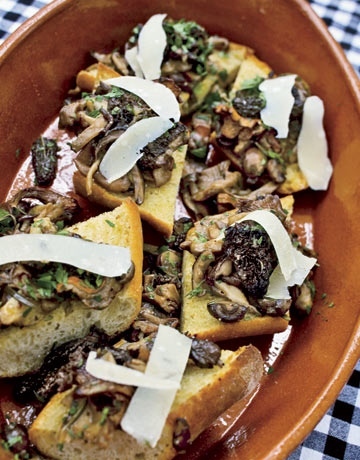 Add olive oil and fresh mushrooms. Cook, stirring frequently, over high heat until mushrooms release their liquid - about 10 minutes. Add the shallots, rehydrated mushrooms and garlic. Cook until liquid evaporates. Add broth, cognac, butter, salt, pepper, and the sprigs of rosemary and thyme. Transfer skillet to oven and roast for 30 minutes, stirring twice during the roasting time. This refreshing winter salad has a nice little zing to it, thanks to the apple, fennel and goat cheese. Whisk together sherry vinegar, orange juice, honey, shallot, salt and white pepper. Add olive oil in a steady stream, whisking until combined. In a large bowl, toss endives, onion, fennel, celery root, apple and mustard greens or mizuna with a 1/2 cup of the dressing. 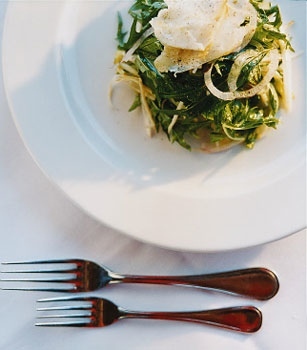 Serve salad topped with cheese and drizzled with the white truffle oil. 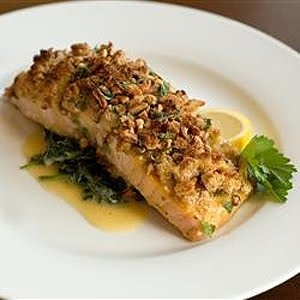 Although any salmon fillet will be enhanced by this recipe, wild caught Alaska salmon will have you and your guests in a culinary swoon. In a small bowl, mix together the honey, mustard and butter. In a separate bowl, mix together the bread crumbs, parsley and pecans. Season each salmon fillet with salt and pepper. Place on a lightly greased baking sheet. Brush fillets with honey mustard sauce. Then cover the top of each fillet with bread crumb mixture. Bake for 10 minutes per inch of thickness, measuring at the thickest part of the fillet, or until the salmon just flakes with tested with a fork. 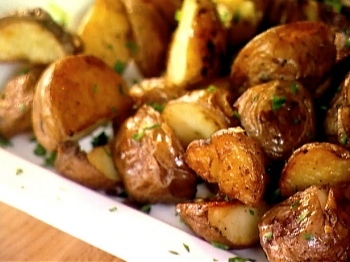 We have Ina Garten, the Barefoot Contessa, to thank for this simple mouth watering recipe for roasted potatoes. Now if only she would come and cook our holiday feast for us. Cut potatoes in halves or quarters and place in bowl. Add salt, pepper garlic, rosemary and olive oil. Toss until the potatoes are well coated. Dump potatoes on a baking sheet and spread out into 1 layer. Roast in the oven for at least 1 hour, or until browned and crisp. Remove from oven. Season to taste and serve. 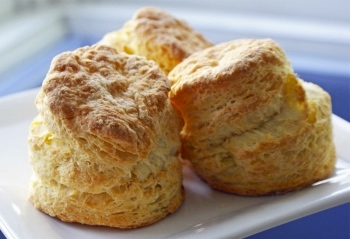 No need to get fancy when the biscuits are homemade and served warm with plenty of butter and honey. In a separate bowl, combine milk and vegetable oil. Pour over dry ingredients and stir until just moistened. Turn onto floured board; knead 5-6 times. Cut with floured 2-inch biscuit cutter. Bake at 425 degrees F for 13-15 minutes, or until golden warm. Serve warm with butter and/or honey. I discovered this recipe years ago in a magazine and have always had great success with it. And as a pound cake aficianado, I was gratified that this recipe was accompanied by specific tips on how to make the perfect pound cake. I recommend that you follow the tips that I have included at the bottom of the page. Your guests will be pleased that you did. Drain cherries well, and finely chop. Press gently between paper towels to absorb moisture. Set aside. Gradually add sugar to the butter, beating until light and fluffy. Add eggs one at a time, beating just until the yellow yolk disappears. In a separate bowl, sift together flour, salt, and baking soda; stir in chopped cherries. Add flour mixture to butter mixture alternately with sour cream, beginning and ending with flour mixture. Pour batter into a greased and floured 9x5 inch loaf pan. Bake at 325 degrees F for 1 hour, or until a long wooden pick inserted in center of cake comes out clean. Cool in pan on a wire rack 10 minutes. Remove from pan; cool completely on wire rack before serving. Use only brand name ingredients. Store brands of sugar can yield more sugar per cup because they are often more finely ground. And too much sugar can cause a cake to fall. Store brands of butter may contain more liquid fat, and store brands of flour more hard wheat. Both make the cake too heavy. Measure accurately. Extra flour results in a dry cake and extra sugar causes a cake to fall. Pre-measure your ingredients and let them come to room temperature for maximum volume. Beat softened butter at medium speed with an electric mixer until creamy: 1-7 minutes depending on your mixer. Gradually add sugar, continuing to beat until light and fluffy. Follow these steps because they whip air into the batter so the cake will rise during baking. Add the eggs one at a time, beating the batter just until the yellow yolk disappears. Overbeating the eggs often causes the batter to overflow the sides of the pan when it's baked, or it can create a fragile crust that crumbles and separates from the cake as it cools. To prevent the batter from curdling, always add the dry ingredients alternately with the liquid, beginning and ending with the dry ingredients. Mix just until blended after each addition. Overmixing the batter once the flour has been added creates a rubbery, tough cake. Use the correct type of cake pan. Pound cake recipes that call for a tube pan will not always fit in a bundt pan. Different pans hold different amounts of batter. Grease cake pans with solid vegetable shortening, and always dust with flour. A slippery cake pan surface prevents the batter from rising to its full volume. To check your oven's temperature for accuracy, use an oven thermometer. Place the cake pan in the center of the oven and keep the door closed until the minimum recommended baking time has elapsed. Loss of heat and closing the oven door to hard can cause a cake to collapse if it's not done. Some pound cakes will have a crack in the center that appears wet, even when fully cooked. Avoid this area when testing for doneness. To soften butter, remember that butter usually softens at room temperature in about 30 minutes, but this may vary according to how warm your kitchen is. Test the butter by gently pressing the top of teh stick with your index finger. If an indentation remains, but the stick of butter still holds its shape, it is perfectly softened. And do not soften butter in the microwave as it will often melt unevenly and too quickly. Class dismissed. And enjoy your pound cake!